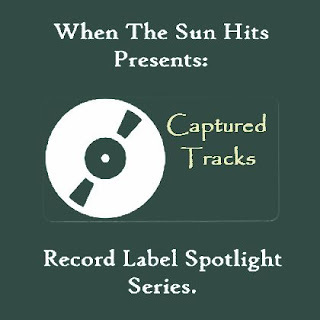 When The Sun Hits is honored to feature Captured Tracks, one of our very favorite record labels, in the 7th Record Label Spotlight of our ongoing Record Label Spotlight Series. Brooklyn-based label Captured Tracks has released material from exceptional bands like Blouse, Wild Nothing, Craft Spells, Catwalk, Beach Fossils, The Soft Moon... and the list goes on (see their entire catalogue HERE) in short, these guys have one hell of a band roster! 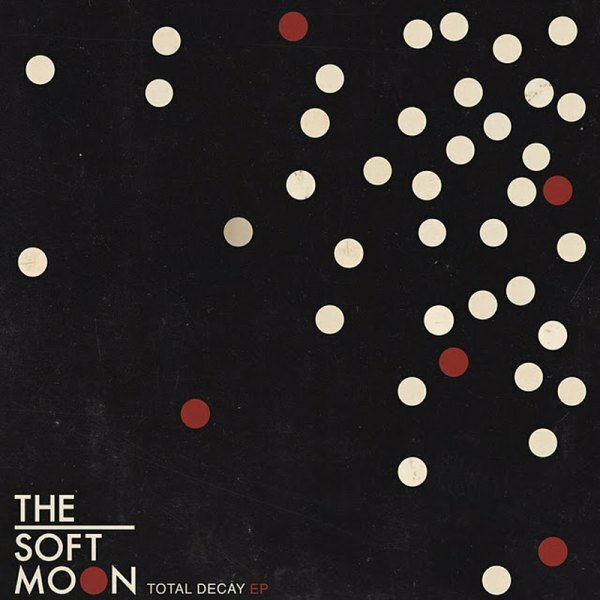 Factor in the cool side projects Captured Tracks is responsible for, such as the Shoegaze Archives series, and you've got on your hands a solid and creative record label - they know what they are doing and they are doing it right! How did Captured Tracks get its start? It was actually my second try at a label. I'd had a reissue-only label with a friend called "Radio Heartbeat" but I found the agreed upon era and type of music we were focusing on too limiting for me. At the same time, I was recording and releasing output as Blank Dogs with a lot of different small labels. I was also pitching a lot of artists to these labels, quickly realizing I can be doing all this myself. So, that's how it happened. I was working at Academy Records in Brooklyn and on off-hours would be in the basement putting together Dum Dum Girls 12" EP's. It was pretty hectic right from the start. Would you consider Captured Tracks to be a shoegaze and/or dream pop oriented record label? No, not at all. Although I do love that music and I think it's fair to say in influences a lot of artists on the label in some way shape or form. Even Soft Metals, who are 100% electronic and dance-friendly have stated in interviews how much the sound of that music has influenced them. Shoegaze/Dream Pop was my favorite current music when I was in high school ('91-'95) so I was deeply entrenched in it. I was buying Pale Saints and Slowdive releases as they were coming out. Pretty exciting. How do you choose the bands that are to be represented by your label? Is there a specific sound you are looking for? There's no checklist, per se, but there needs to be dynamics and songwriting chops above all else. Sorry if that's vague. Who are the 5 most recent shoegaze/dream pop acts to be represented by Captured Tracks? Well, without saying any of them are purely shoegaze, I think Dignan Porch, Wild Nothing and Aias are the closest. Catwalk's "One By Words" is a perfect shoegaze song to me, but most of his songs aren't as swoony. Beach Fossils, Minks and Craft Spells all have songs that can be described as shoegaze, too. What do you think of the modern shoegaze/dream pop scene? I don't think it ever really went away, it's just kept ebbing along and evolving. I think it's interesting where it's gone and how you have bands as different sounding as M83 and Weekend gaining popularity. To put it simply: I like it! Are there any other shoegaze/dream pop record labels (old or new) that you admire? You have to say Creation, don't you? Where would we be without Alan McGee? 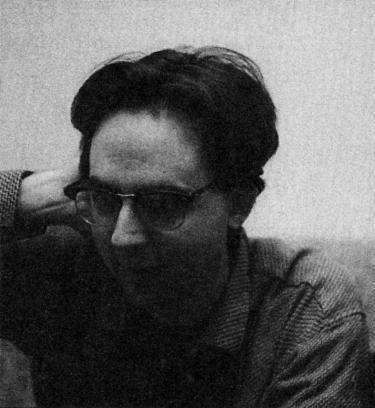 4AD, Creation and smaller labels like 53rd and 3rd, Fluff, Hut, there were so many in the 90's to try to keep up with. But Slumberland is the one that stuck around and is still relevant today. Mike Schulman is a class act and someone who cares about and loves good music and his bands. Can you tell us a little bit about what's currently going on with Captured Tracks (new releases, new bands signed, tours, etc)? 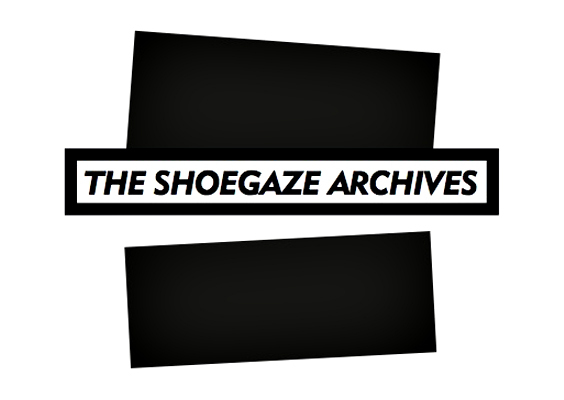 We're especially curious about the new Shoegaze Archives! Can you talk a bit about that, as well? Sure. 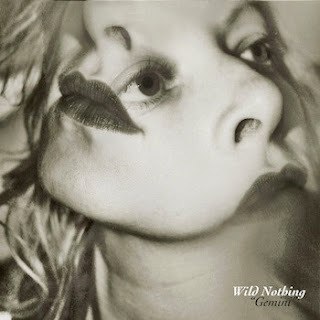 We're eagerly awaiting debut LP's from some recent signees like Catwalk, Heavenly Beat, DIVE and The Jameses. It's pretty exciting for me and my staff to heat new material by our artists as we're all fans. We have the debut LP by BLOUSE on Nov. 1st, so that's been a focus of our attention for a while. We've also just confirmed a huge Cleaners From Venus reissue project which is very exciting for all of us. The Shoegaze Archives idea sprang out of the fact that the era wasn't really being investigated by too many reissues while the late 70's and 80's have been mined so heavily. That coupled with most talk about that first wave of Shoegaze from '88 to '93, it's almost only ever about Slowdive, MBV, Ride, etc. in the mainstream indie press when there was a really huge international scene. I thought it was time to really investigate it more and offer wider releases to bands that never had that opportunity when they were around. 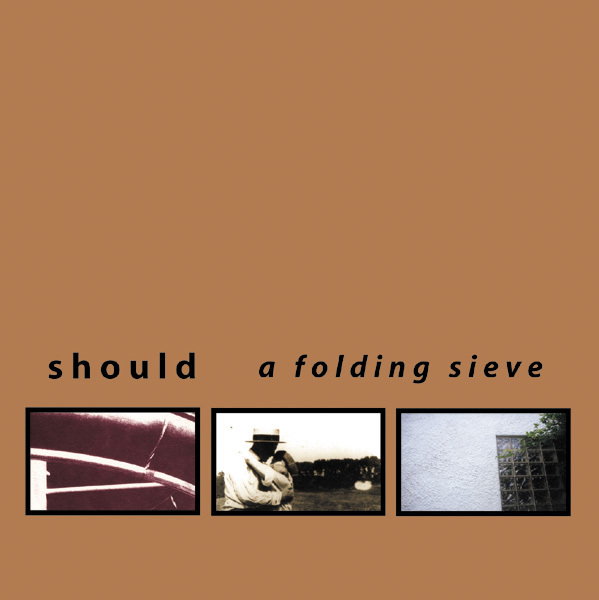 Neither Should (aka shiFt) nor the deardarkhead material we're doing was ever on vinyl, because they were released when vinyl was pretty much dead. In that way it's almost a project of mine so I can personally have the records in my collection! Our next confirmed reissue in the series is Half String, beyond that we have two other things that we're working on that are currently unconfirmed. What is your goal for Captured Tracks? I always use Daniel Miller from Mute Records quotes on this. He very simply stated that a record label should be the result of the tastes of the owner and staff and that should be the only rule. This is why you had the same label (Mute) doing Non AND Depeche Mode, Diamanda Galas AND Erasure. If there was a goal with us, it's just to do our best to get the music we like to the widest audience possible for the artist without compromising our or their integrity. What do you think about free downloading and file sharing? How does it affect a record label? We work with it. I'm ok with it and don't fight it. At this point, it would be like horses trying to fight the existence of the car. I think if someone downloads a record for free, likes it and then buys it at a record store or when the band comes to town at the merch table, well than that's an ok thing. As a label we're focused on making things that people want to physically own, so that they can feel like more a part of it. I'm 34, so I still have a lot of records and tapes I bought when I was younger, I can listen to the Lush Spooky double 10" that I bought at the merch table in Philadelphia. You can't really have that experience pointing to an mp3 and saying "I downloaded that, right after it was on Pitchfork.... those were the days!" However, the easy access to download music has really opened up people's tastes and allowed them to hear way more than simply whatever your local radio DJ would play. I think a lot of labels forget that the reason why people like a lot of their bands is because they tried it for free first. That's a modern situation that most labels are trying to react to in an antiquated way. Labels will still be relevant if they're looked to as a source of consistently good and interesting music and providing their audience with more than just a bunch of hyped artists they had enough money to sign. A lot of labels are doing that now and are losing the focus of what makes a label a label. Once you dilute whatever it is about yours that makes it special, what does a label even mean in 2011? Bands don't need labels anymore to have their music heard, but a label is still an asset if it has a culture that goes along with it. We will see a lot of labels cease to exist if they're not applying that. I'm a record geek. Worked at record stores from 18-27 and currently co-own a record store, so there you have it. I really do like listening to music digitally though. It was really infuriating making cassette dubs and carrying them to school every day, though tapes still have an intrinsic charm. CD's were OK until the music industry killed them. They made them cheap by trying to sell the same object for $17.00 that falls out of a magazine everytime you open one. Try to get by without causing too much pain, I suppose. Toward the end of 2009, in a bedroom in Stockton, CA, a 21-year-old Justin Vallesteros began layering simple synth and guitar lines to create the sound that would become Craft Spells. What began as an experiment soon became a vibrant world of elegant guitar chords laced over looped rhythms, heavenly synth melodies, and pulsating bass. When Vallesteros recorded his first track "Party Talk," an outpouring of online enthusiasm led him to return to his native Seattle and flesh out a full band for the debut LP Idle Labor, released on Captured Tracks in Spring 2011. If you love Felt, The Smiths, Echo & The Bunnymen, and the beautiful monotone drone of Ian Curtis, Craft Spells might soon be your favorite nuevo-new romantics. 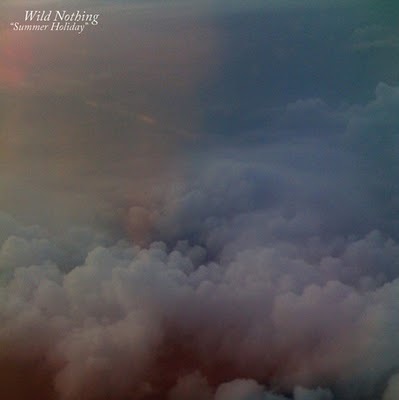 Wild Nothing is the solo project of Virginia born Jack Tatum, whose music is the product of an unhealthy obsession with nostalgia. Equal parts teenage wasteland and inexplicable regret, his songs are the kind that could only be made by the young at heart. Tatum began recording under the moniker Wild Nothing in the summer of 2009 in Blacksburg, Virginia. Upon gathering attention in indie music circles, he was signed to Captured Tracks and began touring with a band. His debut full-length, Gemini, was released in spring 2010 to acclaim. 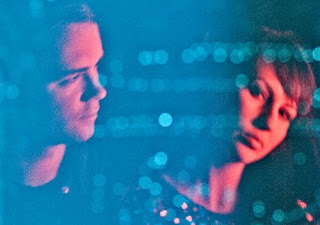 Soft Metals is a multi-disciplinary electronic duo from Portland, Oregon now residing in Los Angeles, California. Its members Ian Hicks and Patricia Hall were brought together through a common love of 1970s and 80s synthesizer music and began writing and recording songs together in the spring of 2009. Inspiration came to them by way of experimental electronic sounds, film soundtracks, early industrial music, minimal synth, house, techno, synth pop, krautrock, psychedelic rock, and shoegaze. Ian and Patricia share songwriting duties and compose the music together before writing lyrics and adding vocals. Their songs are built from moody, improvised sessions together using exclusively electronic instruments. The meaning of the raw music they make is explored and interpreted afterwards with lyrical themes ranging from life experience, films, literature, history, science, love, conflict, and death. Soft Metals prefer to express themselves freely rather than adhere to a particular genre. This freedom gives them a diverse sound somewhere between dance music, austere synthetic pop, and experimental electronic composition. 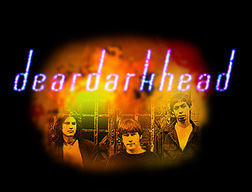 Their two best known songs, "The Cold World Melts" and "Psychic Driving" are demonstrations of this varied sound. "The Cold World Melts" is driving, assertive, and passionate. 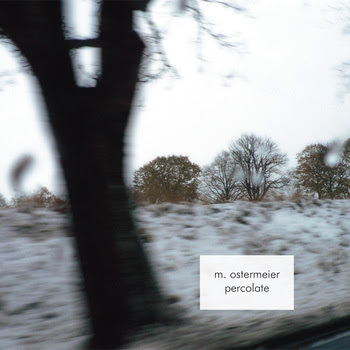 "Psychic Driving" is delicate, introverted, and vulnerable. Some of their songs remain in their unpolished improvised form to pay homage to authenticity, spontaneity, the joy of sound, and experimentation while others are studio based exercises, fusing new and old production technologies. 1. 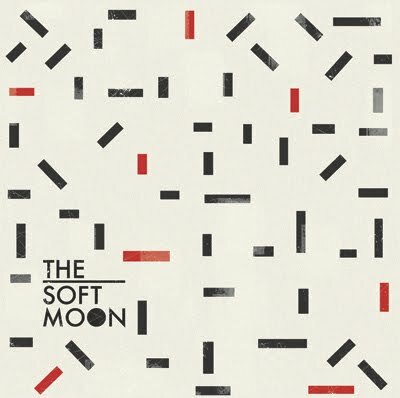 The Soft Moon. Total Decay. 3. 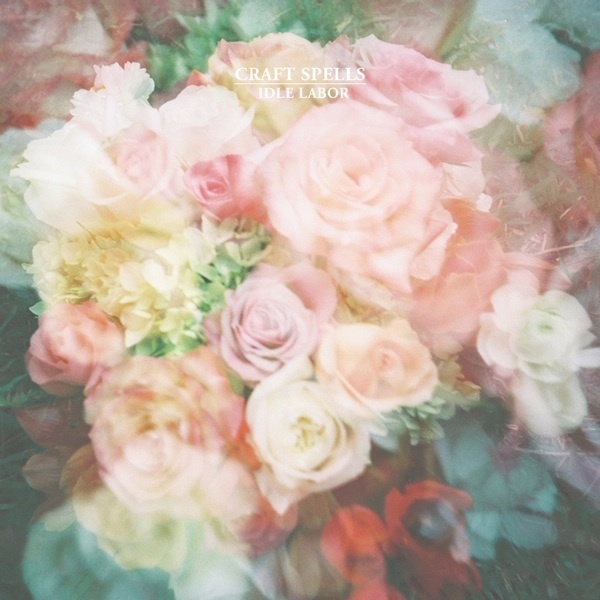 Craft Spells. Party Talk. 5. Soft Metals. Eyes Closed. 7. Wild Nothing. Vultures Like Lovers. Set List for When The Sun Hits Screen Vinyl Image Exclusive Show on Strangeways Radio, Aired November 23rd, 2011. Screen Vinyl Image. Night Trip. Screen Vinyl Image. Until the End of Time. Alcian Blue. You Just Disappear. Ceremony. Don't Leave Me Behind. Last Remaining Pinnacle. They Are Lost. Screen Vinyl Image. Too Much Speed. Alcian Blue. Years Too Late. 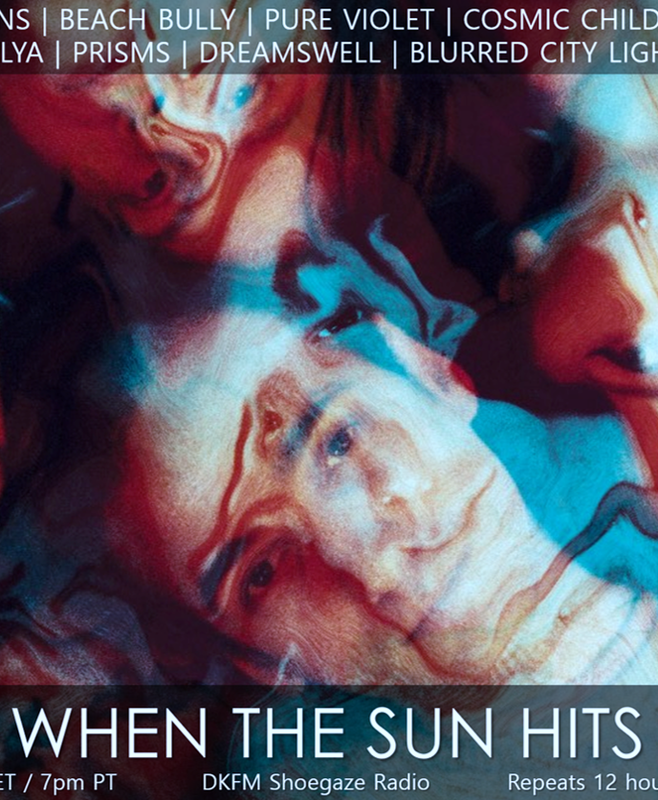 Tonight: Screen Vinyl Image Exclusive on When The Sun Hits - WIN 2 WTSH POSTERS! In celebration of the high levels of Awesome associated with this week's Screen Vinyl Image exclusive show on Strangeways Radio, there will also be a CONTEST! So - the first 3 people who log into the Strangeways chatroom during the show at 10pm-11pm EST and state their 3 favorite SVI tracks will receive 2 full sized When The Sun Hits posters! Swag, baby! Join me tonight for When The Sun Hits on Strangeways Radio. This week When The Sun Hits will feature a Screen Vinyl Image exclusive set that you would be a fool to miss! Not only will the entire set be dedicated to all things SVI, but we'll also be previewing tracks from their upcoming LP, Strange Behavior! Strange Behavior is set to be released on December 13, 2011 on the Custom Made Musiclabel, but Screen Vinyl Image are awesome and exclusively gave Strange Behavior to When The Sun Hits - to preview just for Strangeways listeners! Rad. Expect to hear several tracks from Strange Behavior, classic cuts from the pre-SVI days of Alcian Blue, as well as tracks from a handful of their label mates on Custom Made Music. This show is going to be astronomical levels of awesome. TUNE IN! Stream it live this Wednesday, November 23rd, from 10pm-11pm EST (that's 9pm-10pm CST local folks) on Strangeways Radio. Lovesliescrushing and Astrobrite Release New Material in November. Scott Cortez has been busy! He is the musical mastermind behind both Lovesliescrushing and Astrobrite, both of which released long awaited new material this month. Both albums were released via bandcamp, with Lovesliescrushing's Ghost Colored Halo EP released November 11th and Astrobrite's highly anticipated full length, Boombox Supernova, went live on November 1st. Check out the tracks below and head over to bandcamp to get yourself a big dose of impeccable gaze. 200,000 Gazes Compilation Update - Release Date Postponed Until December 10th, 2011. For the past 2 months, we have been taking submissions from bands for the release of our next compilation, 200,000 Gazes. The deadline for submissions was November 10th. The compilation was meant to be released on November 19th, celebrating it's release with a party during the XD Festival in Chicago that night. Due to Amber not being able to get a flight out to Chicago that weekend, our release party, and the release of the compilation itself, had to be postponed until DECEMBER 10th, 2011. Danny was at the XD Festival however, and he was When The Sun Hits representin' for all of us! When The Sun Hits on Strangeways Radio Presents A Screen Vinyl Image Exclusive. Wed Nov 23 10pm-11pm EST. Come join me this Wednesday night for When The Sun Hits on Strangeways Radio. This week When The Sun Hits will feature a Screen Vinyl Image Exclusive that you would be a fool to miss! Not only will the entire set be dedicated to all things SVI, but we'll also be previewing tracks from their upcoming LP, Strange Behavior! 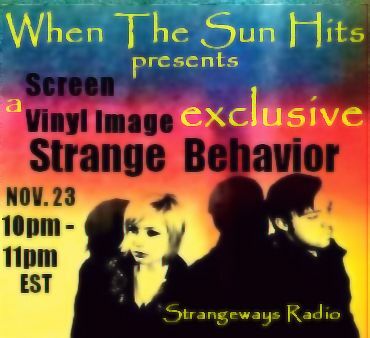 Strange Behavior is set to be released on December 13, 2011 on the Custom Made Music label, but Screen Vinyl Image are awesome and exclusively gave Strange Behavior to When The Sun Hits - to preview just for Strangeways listeners! Rad. Expect to hear several tracks from Strange Behavior, classic cuts from the pre-SVI days of Alcian Blue, as well as tracks from a handful of their label mates on Custom Made Music. This show is going to be astronomical levels of awesome. When The Sun Hits is one full hour of distilled shoegazey goodness, so black out the windows, grab your headphones, and go down the rabbit hole every Wednesday night on Strangeways Radio. When The Sun Hits is a radio program dedicated to bringing you the best underground sounds from within the realms of shoegaze and dream pop. When The Sun Hits airs every Wednesday night from 10pm-11pm EST (9pm-10pm CST) on Strangeways Radio. Stream Strangeways 24/7 at www.strangewaysradio.com and join us live in the chatroom for maximum Awesome. Isan. Celia's Dream (Slowdive Cover). Sun Devoured Earth. The Worst is Yet to Come. The Never Years. It's Yours. 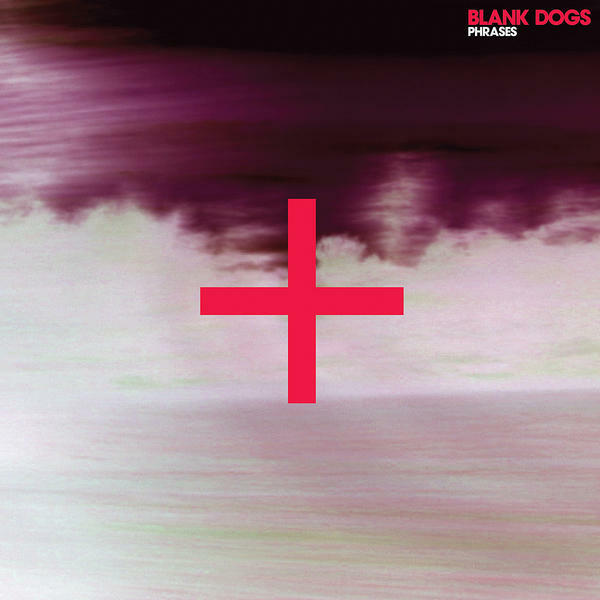 Small Black .Despicable Dogs (Washed Out Remix). mindthings. Consequences of Unseen Effects. The KVB. Hide and Wait. Washed Out. You'll See It (Small Black Remix). Expect to hear cuts from Sun Devoured Earth, The Phantom Caste, Claps and a LOT more. 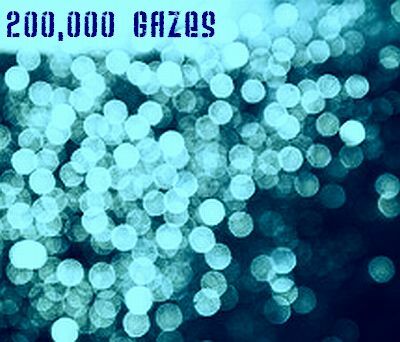 Last Call For Submissions: 200,000 Gazes Compilation Due Date is November 10th! When The Sun Hits is now closing in on 200,000 blog views! If you were around for the first 100,000, you know that we had a big celebration with fun events and posts, as well as created an exclusive compilation of donated tracks, which had a VERY large circulation. We are now taking submissions for our second compilation, 200,000 Gazes. The official release date will be November 19, 2011, and the official release party for the comp will be held in Chicago on that day at the XD Records Festival (where you can snag a special edition hard copy!) - more info on THAT later! We'll be releasing 200,000 Gazes (and re-releasing The First 100,000 Compilation) via bandcamp. 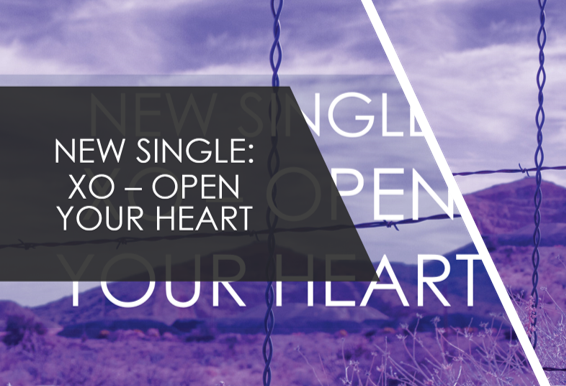 Read on to find out how to submit a track for consideration! WE HAVE RULES! Please follow them so that we don't weep into our shoes. THE DEADLINE FOR SUBMISSIONS IS NOVEMBER 10th, 2011. No exceptions. - Submit your track to whenthesunhitsblog@gmail.com. You MUST put "200,000 Compilation Submission" in the title of the email, or be forever lost in the insanity that is our email. - You can submit ONE track, in mp3 format only. Don't flood our email with multiple submissions, please! -Don't waste our time submitting a track with poor sound quality. Seriously. If you are recording music, you know the difference between good and bad audio quality. Use these skills. GOOD QUALITY AUDIO ONLY PLEASE. - In the body of the email, you need to put 4 things: a) Your/your band's name. b) The track title. c) links to anything promotional (bandcamp, a fb page, WHATEVER), if you have it. You don't have to if you have none. d) (optional) tell us about you/your band. Pretty easy, right?! We are so stoked to hear what you guys have! The 200,000 Gazes Compilation will be even larger (it may even be a double album) and more widely circulated than the first, so get onboard! Feel free to share this note with anyone you know. Ready, set, GO!! Expect to hear cuts from sansyou, Warm Ghost, Presents for Sally, and a LOT more.